Draft: 2013, Colorado Rockies, 1st rd. Jonathan Charles Gray … married to Jacklyn Kay Gray, they reside in Denver, Colo. in the offseason … they are members of Life City Church ... Son of Jack … has one brother, Jack, and one sister, Brooke … he is part Cherokee and can actually speak a little Cherokee ... They have rescued three Yorkies … they volunteer at Planet Pet and periodically foster animals ... Is a heavy metal music enthusiast and enjoys golfing in his free time ... Graduated from Chandler High School in Chandler, Okla ... Attended University of Oklahoma, after spending one year at Eastern Oklahoma State College ... Nicknamed "Gray Wolf" after getting a tattoo of a wolf paw print on his left arm in college ... Selected by the Kansas City Royals in the 13th round of the 2010 First-Year Player Draft and in the 10th round in 2011 by the New York Yankees, but did not sign either time. Made his second career Opening Day start, becoming the fifth pitcher in franchise history to start on Opening Day in consecutive years ... The Rockies won nine consecutive starts by Gray from June 22-Aug. 22, which tied a franchise record set by Ubaldo Jiménez in 2010 for consecutive team wins in starts by a single pitcher ... Pitched seven or more innings while allowing two or fewer earned runs in four consecutive starts July 14-Aug. 5 … it was the longest such streak since Ubaldo Jiménez pitched a franchise-record seven such games in succession, May 3-June 6, 2010 ... Optioned to Triple-A Albuquerque on June 29 and made two starts with the Isotopes, going 1-0 with a 3.38 ERA (10.2 IP, 4 ER), four walks and 13 strikeouts … allowed four hits and one home run ... Went 2-0 and allowed two or fewer runs over seven or more innings pitched in each of his first four starts after being recalled on July 14 … went 4-2 with a 4.68 ERA (73.0 IP, 38 ER) with 22 walks and 58 strikeouts in 13 starts in the second half, after going 8-7 with a 5.44 ERA (99.1 IP, 60 ER), 30 walks and 125 strikeouts in 18 starts in the first half. 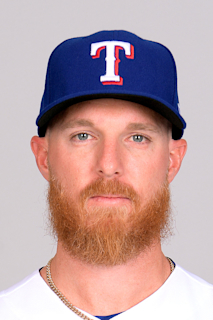 Made his first career Opening Day start, and his first career postseason start in the National League Wild Card Game at Arizona...Was on the Opening Day roster for the first time after beginning 2016 on the disabled list (abdominal strain)...Went 10-4 with a 3.67 ERA (110.1 IP, 45 ER), 30 walks and 112 strikeouts over his 20 starts in the regular season...Made three starts to begin the season, allowing six runs across 12.1 innings (4.38 ERA), before being placed on the disabled list on April 14 (broken bone, left foot)...Went 5-1 with a 3.13 ERA (46.0 IP, 16 ER), 13 walks and 41 strikeouts at home, 5-3 with a 4.06 ERA (64.1 IP, 29 ER), 17 walks and 71 strikeouts on the road...Allowed three or fewer earned runs in 13 consecutive starts to end the season, the second-longest single-season streak by a Rockies starter in franchise history (longest: Ubaldo Jiménez,14 games, 2010) … Gray went 7-3 with a 2.64 ERA (78.1 IP, 23 ER), 16 walks and 80 strikeouts over that span...From July 25 through the end of the season, ranked tied for first in the National League in wins (seven), second in ERA (2.64), third in innings pitched (78.1 IP), sixth in strikeouts (80) and second in strikeouts-to-walk ratio (5.00)...Started the National League Wild Card game at Arizona … allowed four runs on seven hits in 1.1 innings pitched … it was the shortest start of his career. Spent his first full season in the Major Leagues and went 10-10 with a 4.61 ERA (168.0 IP, 86 ER) while setting a Rockies rookie single-season record with 185 strikeouts...Earned his first career win on May 13 vs. New York-NL after allowing two runs on five hits with eight strikeouts in seven innings pitched...Recorded 16 quality starts, the second-most on the Rockies in 2016 (Chad Bettis with 17), and the most ever in a single season for a Rockies rookie...Pitched his first career complete-game shutout Sept. 17 vs. San Diego, allowing four hits and no walks with a Rockies and Coors Field record 16 strikeouts … he struck out six batters in succession between the second and third innings to set a record for the most consecutive strikeouts for a Rockies pitcher … he struck out four batters in the second inning, the fourth time in Rockies history that four opponents struck out in one inning...His strikeouts per nine innings rate of 9.91 led all Major League rookies, ranked sixth in the National League overall, and was the highest single-season rate in Rockies history...Struck out 10 or more batters in six starts, the second-most 10-plus strikeout games in a single season in Rockies history … only Pedro Astacio had more games in a season (seven in 2000) … became the first Rockies rookie with multiple games of 10 or more strikeouts in franchise history...Combined for 26 strikeouts between Sept. 17 vs. San Diego and Sept. 23 at Los Angeles-NL to set a new franchise record for strikeouts over two consecutive games...Began the season on the 15-day disabled list with an abdominal strain and was reinstated on April 22, making his first start of the season that night vs. Los Angeles-NL. Spent his first full professional season at Double-A Tulsa, making 24 starts for the Drillers. Went 6-3 with a 3.39 ERA (69.0 IP, 26 ER), 18 walks and 61 strikeouts in 13 starts prior to the All-Star break en route to being named a Midseason Texas League All-Star ... went 4-2 with a 4.55 ERA (55.1 IP, 28 ER) in 11 starts after the break. Struck out at least five batters in 13 of his 24 starts and recorded a 8.18 strikeouts-per-nine innings ratio on the season. Following the season, was named the Rockies' top prospect by MLB.com and the club's second-best prospect by Baseball America ... named baseball's 11th-best prospect by MLB.com. July 14, 2018 Colorado Rockies recalled RHP Jon Gray from Albuquerque Isotopes. June 30, 2018 Colorado Rockies optioned RHP Jon Gray to Albuquerque Isotopes. June 30, 2017 Jon Gray roster status changed by Colorado Rockies. June 19, 2017 Colorado Rockies sent RHP Jon Gray on a rehab assignment to Albuquerque Isotopes. June 14, 2017 Colorado Rockies sent RHP Jon Gray on a rehab assignment to Lancaster JetHawks. April 14, 2017 Colorado Rockies placed RHP Jon Gray on the 10-day disabled list. Left foot navicular stress fracture. April 22, 2016 Colorado Rockies activated RHP Jon Gray from the 15-day disabled list. April 10, 2016 Colorado Rockies sent RHP Jon Gray on a rehab assignment to Modesto Nuts. August 4, 2015 Colorado Rockies selected the contract of RHP Jon Gray from Albuquerque Isotopes. April 4, 2015 RHP Jon Gray assigned to Albuquerque Isotopes from New Britain Rock Cats. February 10, 2015 Colorado Rockies invited non-roster RHP Jon Gray to spring training. September 27, 2014 New Britain Rock Cats activated RHP Jon Gray from the 7-day disabled list. August 23, 2014 Jon Gray roster status changed by Tulsa Drillers. March 29, 2014 RHP Jon Gray assigned to Tulsa Drillers from Modesto Nuts. February 4, 2014 Colorado Rockies invited non-roster RHP Jon Gray to spring training. September 23, 2013 Modesto Nuts activated RHP Jon Gray from the temporarily inactive list. August 30, 2013 Modesto Nuts placed RHP Jon Gray on the temporarily inactive list. August 2, 2013 RHP Jon Gray assigned to Modesto Nuts from Grand Junction Rockies. June 19, 2013 Jon Gray assigned to Grand Junction Rockies. June 12, 2013 Colorado Rockies signed RHP Jon Gray.